Macadamia Healing Oil Spray is recommended for all hair types. Thanks to its light consistency, it’s favoured to treat thin, weakened and flat hair. If you can describe your hair using the three adjectives, apply the oil right now. Macadamia Healing Oil Spray hair oil contains natural UV filter which protects colour of strands. Moreover, the cosmetic provides hair with smoothness and shine. If applied regularly, it facilitates combing, accelerates drying time, and counteracts frizz and static. 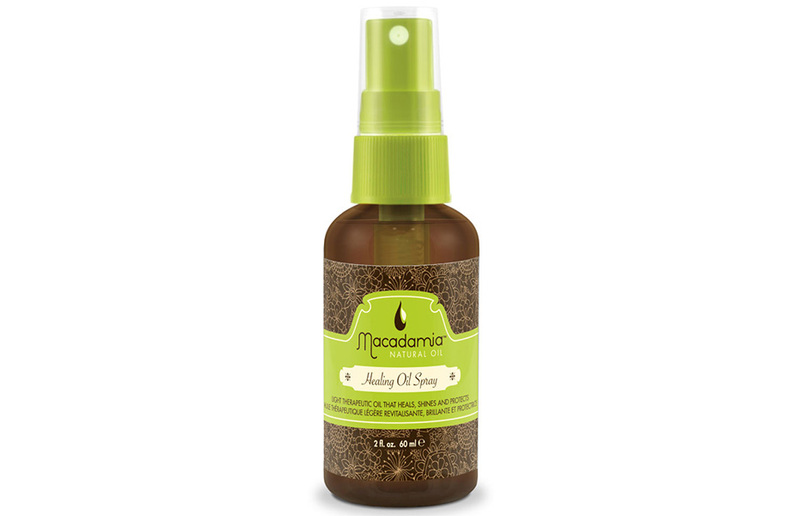 Additionally, Macadamia Healing Oil Spray is absorbed fast, neither leaves a greasy coat nor clumps strands together. Wash your head and remove excess of water using either a cotton or a paper towel. Spray your hair keeping the bottle approximately 10 inches from your strands; remember that you don’t have to use much of the product to deliver gloss or style your hair. At the end, blow-dry hair and set your hairdo as usual. Use Macadamia Healing Oil Spray as a finish so as to add a little bit of shine to strands. You can buy Macadamia Healing Oil Spray hair oil in almost every big beauty supply store. Certainly, the best option is to order the product via the Internet so you don’t have to leave the house.